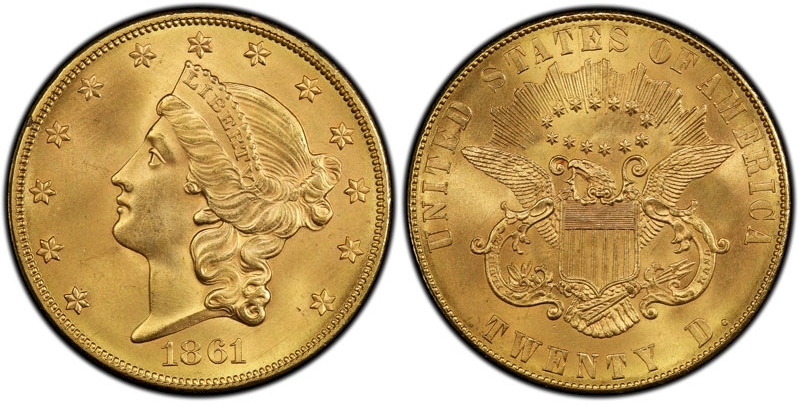 �����In addition to the Bruce Morelan Collection of Early Dollars, the Long Beach Expo will have on display the 1861 P Paquet Reverse $20 Gold. This is the finest certified of two known to exist and it is graded PCGS MS67. It was originally owned by King Farouk of Egypt and recently sold by one well-known dealer, Brian Hendelson, to another, Larry Lee of Coin and Bullion Reserves of Panama City, Florida. This coin is called the Norweb Specimen and is insured for $8 million. It will be displayed throughout the show at the PCGS booth. �����Gold leapt over the $1,240 barrier last week only to fall back to $1,225 this morning in early trading. Silver is at $17.85. �����The first Long Beach Expo of the year is this week and begins Wednesday for dealers. The Heritage Auction will feature numerous rarities including a 1921 $20 Saint Gaudens in PCGS MS62 with a current Market value of $97,500 and always popular with only 61 coins certified in MS62 and higher. 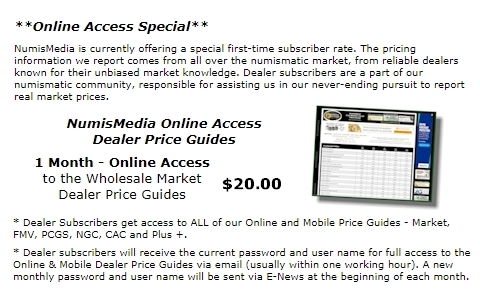 �����In this week�s LD Wholesale Market Dealer Price Guide there are quite a few declines in Half and Large Cents, although many are minor adjustments. Most of these are for lower grade circulated coins where collector activity has slumped of late. In Half Cents, the 1809 9 over 6 in XF40 has dropped to $240 Market and the 1828 12 Stars in the same grade is down to $200. In Large Cents, the 1803 Small Date Small Fraction in F12 is lower at $250 Market and the 1839 Booby Head in XF40 has fallen to $250 as well. 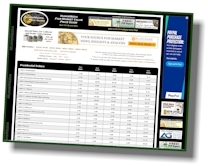 �����Lincoln Cents are also seeing some declines as dealers are discounting some older inventory. The 1911 D in MS64 Red is down to $380 Market, the 1911 S in MS63 Red is lower at $340, and the 1913 S in MS64 RB is now $440. Despite the downturns there are still several other dates in demand at higher levels. The 1912 D in MS63 Red is up to $350 Market and the 1922 D MS63 Red is higher at $240. 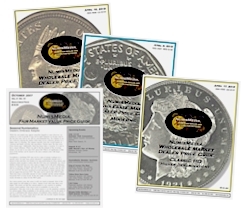 �����We are still seeing discounting in the Buffalo Nickel series, although they do seem to be active at the listed prices. The 1913 S TI in MS65 is down to $600 Market and the 1918 D in MS66 fell to $5,925.